The young Rwandan Moise Mugisha won the fifth and final stage of the Tour de l'Espoir with a long and spectacular lonely escape: taking advantage of the heavy gap in the overall standings Mugisha managed to take a wide margin of advantage and then at the finish he kept well 2'01 "on the Ecuadorian Santiago Montenegro, 2'05" on the Japanese Shoi Matsuda, 2'08 "on the Ethiopian Negasi Abreha and 2'26" on the group of the race leader. The national team of Eritrea has been busy enough to control all the attacks, but the final success has not escaped the 19 year-old Yacob Debesay who closed with 50 "on the compatriot Natnael Mebrahtom. The podium of the general classification was completed by Santiago Montenegro at 1'31 "with Ecuador, who also placed Alexis Quinteros fourth at 1'33". 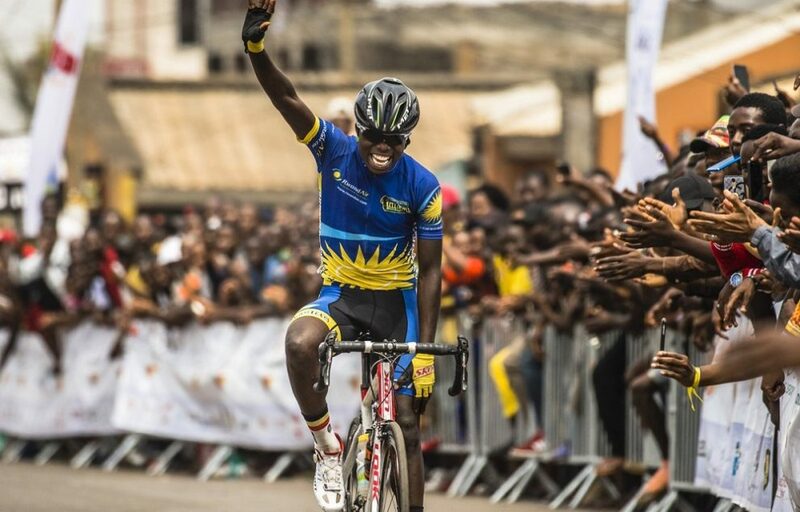 Moïse Mugisha (Rwanda) won solo this Saturday, in the fifth and final stage of the Tour de l'Espoir (2.Ncup), held over 69.3 kilometers around Yaoundé (Cameroon). Rwandan beat Santiago Montenegro (Ecuador) and Shoi Matsuda (Japan). Yakob Debesay (Eritrea) wins the overall classification of this second edition. Eritrea succeeds Rwandan Joseph Areruya on the charts.